"Act in ways that leave all people and all things in better shape than you found them." 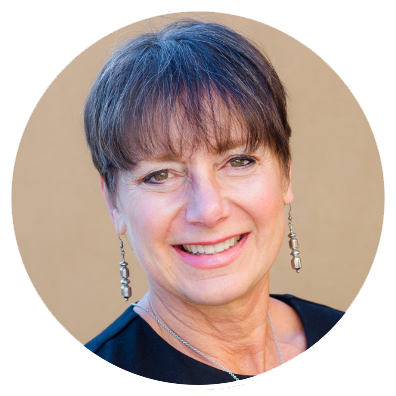 Hello, my name is Betty Jo Waxman, and I’m a Senior Trainer and committed client support resource in Northern California. I am proud to have helped Productive Learning change the lives of more than 5,000 people since joining the company in the mid-1990s. Both my professional journey and my personal development began while working in my parents’ retail shops in the early 1980s. The dynamic of maintaining both personal and business relationships with my parents – and bosses – left me searching for a better way to communicate. While I did discover the tools for developing this skill set in the personal development workshops I began attending, I unearthed something greater – meaning behind why I did so much of what I did. These insights flowed into every aspect of my life, and I felt like a sponge, determined to soak up more. After graduating with my bachelor’s degree from UCLA and master’s degree from Vanderbilt, my work with my parents’ company was a stepping stone, but to what, I wasn’t sure. But by the time they approached retirement in 1982, my professional path had become clear. Over the course of the next 10 years, I was a personal growth trainer throughout Northern California with a premier training company of that time. It was here, in this early stage of both our careers, that I met a friend, partner, and mentor who would play an integral role in my life – Lindon Oscar Crow. In 1997, he invited me to join Productive Learning, which he had founded only a few years earlier, and the rest is all history, as they say. Over the course of the last 20 years, I’ve facilitated more than 100 different types of workshops and spent more than 10,000 hours in support and coaching conversations to help clients apply their learning, navigate new situations that surface in their lives, and continue their journeys. I’m endlessly fascinated by our human ability to unconsciously recreate situations in our lives – both the good and less desirable aspects – again and again without even realizing it. It’s inspiring to watch our clients bring consciousness to these parts of their patterns, stepping beyond what’s no longer serving them to reach greater heights. With each workshop I lead, I strive to bring both empathy and inquiry into the room. Growth is achieved by exploring the tough topics, but I believe each client understands that I’ll never ask them to go there alone. As a navigator, I take my role seriously, helping to connect the dots and asking the questions that have yet to be asked. However, it’s not all serious. The best workshop settings are always those that experience a range of emotion and energy, so it’s important to me that I also bring a sense of humor. After all, we’re putting in the work and diving in deep; we may as well have some fun along the way. Over the past 35 years, it’s been incredibly fulfilling to lead others through their self-discovery, each of whom opened my eyes to some new emotion or perspective. The human psyche is notoriously ineffective in evaluating our own selves – a reality I’ve known since the earliest days of my career – and I’ve been honored to have brilliant partners helping to lead me on my own journey. As a result, I’ve enjoyed a life of passion and happiness unlike any I ever imagined. I’m surrounded by amazing personal relationships, a landscape that supports my love of physical activity, and opportunities to make a difference in our world. I’ve even mended sibling relationships that suffered from what felt like insurmountable issues that were rooted deep in our childhood. Life is good. Perhaps one of the greatest joys that have emerged from my work is the impact it’s had on my family. Both through osmosis and their own hard work, my children and my husband have learned and applied the principles I not only teach but also embrace in my everyday life. They are some of the most magnificent human beings I’ve ever known. I approach my life with awareness, kindness, and curiosity because my journey is continuing to unfold, as is yours. How can I help you navigate the way?